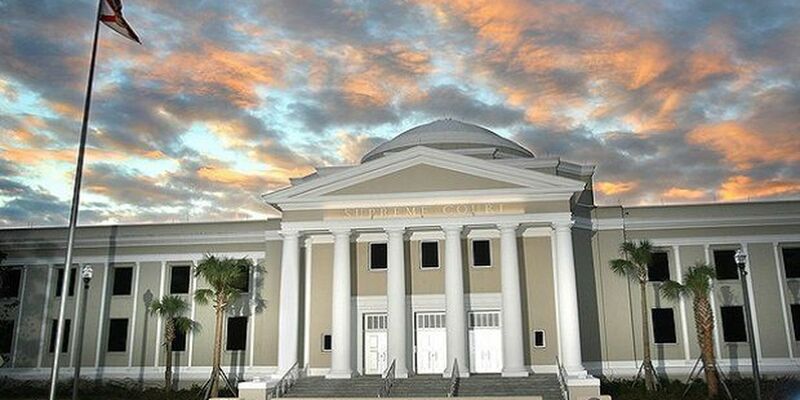 SARASOTA (WWSB) - Two decades after voters approved a constitutional amendment that called for a "high quality" system of public schools, the Florida Supreme Court on Thursday took up a legal battle about whether the state has properly carried out the voters' wishes. The 1998 constitutional amendment requires the state to provide a quote "uniform, efficient, safe, secure and high quality" system of public schools. In a case that has lasted nearly a decade, plaintiffs suggest the legislature has not properly funded K-12 education in Florida. Lower courts have ruled that it is difficult to determine exactly what “uniform” and “high quality” mean. Attorney Jodi Siegel with the group Citizens for Strong Schools asked the Supreme Court to overturn a decision by the 1st District Court of Appeal that rejected the lawsuit. "'All children' includes kids that come from poverty, kids that are racial minorities, and kids with disabilities. If you look at the statistics and disaggregate, there are significant populations that have great disparities and they are not achieving," said Siegel. "There are some districts that are just doing so poorly. It can't be that you have to live in Miami-Dade in order to get a high quality education. If you live in Franklin, or you live in Gadsden, you are entitled to one too." But Rocco Testani, an attorney for the state, argued the Supreme Court should uphold the lower-court decision. "The level of resources available in school districts in Florida is not related to performance differences on standardized tests, or graduation rates, or any other outcome measures," said Testani. "Are the kids learning more and getting smarter? We're number one in the nation for free and reduced lunch students in fourth grade reading. We're number one in the nation for Hispanic students in fourth grade reading. We're number five in the nation for African-American students for fourth grade reading, and we're number eight in the nation for all students. This wasn't the case 20 years ago." Plaintiffs are also challenging the constitutionality of two popular school voucher programs, which pay for more than 100,000 kids to attend private schools. The Court has not said when it expects to rule on the case.